The Internet is omnipresent around the world, thereby paving the way for innumerable websites being built in all major languages apart from English. It is no longer surprising to find plenty of websites in languages such as German, Italian, Korean or Arabic. The rapid multiplicity of sites in every language has made the competition a lot tougher among them. Here, our multilingual SEO services can deliver a top rank for your website in local search engines and help you attract a large number of potential customers speaking the language that of yours. It is a matter of great surprise for countless individuals that there is a huge online market for any product or service beyond the English-speaking regions. Actually, English is a language spoken by a mere 30% of the total world population. So, if your SEO campaign is solely revolving around English, you're missing out on the moneymaking opportunities provided by 70% of non-English speaking people. Every day, localized search engines in Spanish, French, Chinese and Russian witness massive search volumes for any product or service, on a par with English-based search engines. Google, the premier search engine, is now offering information in almost all languages apart from English. 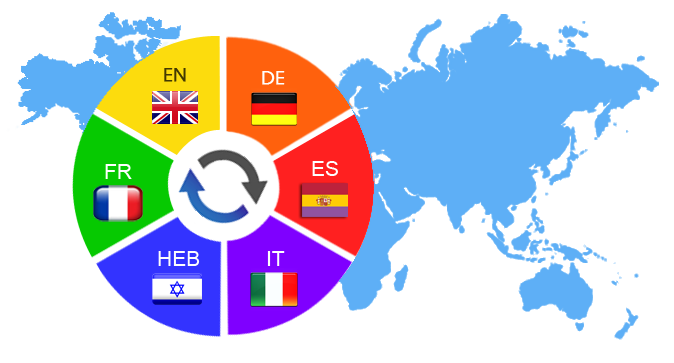 What Do Our Multilingual SEO Services Offer? Since our inception, we have optimized many websites in English, German, Hebrew, French, Italian, Russian, Dutch, Spanish, Swedish, Danish, Norwegian and many more. We are fully acquainted with the algorithms employed by various search engines to rank a specific website for specific keywords. The major rules of SEO are more or less the same for all languages. So, multilingual SEO is all about applying the same optimization rules, but with a language-specific approach to make a website search engine friendly. SEOPhalanx always encourages its clients to target potential leads in their country or pertaining to their language. Our multilingual SEO services can bring your keywords on top in your desired language-specific or country-specific search engines. We boast of a specific team of multilingual SEO experts having ample experience and expertise in handling such projects. SEOPhalanx is a reliable name for multilingual SEO services at affordable prices. Contact us right now to get our FREE SEO analysis report of your website!